The Oregon Medicaid study: What does it tell us? Recently, an article by Kate Baicker and colleagues came out in the New England Journal of Medicine. Almost immediately, the article received widespread attention in the media where headlines claimed that giving people Medicaid coverage doesn’t improve their health. This is not exactly what the article said, but most journalists aren’t scientists, so we should cut them a bit of slack. But, before I give you my interpretation of the study’s findings, let me provide you with some background. 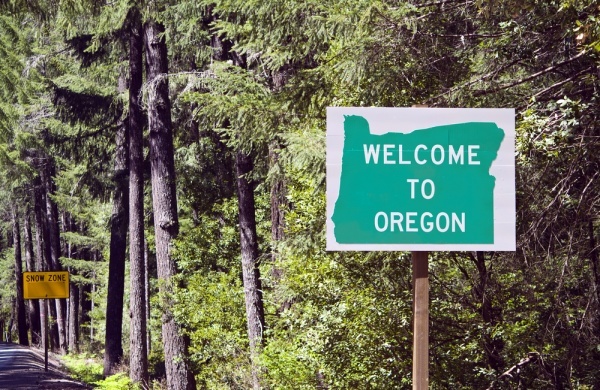 The state of Oregon has a waiver to provide Medicaid coverage to a group of low-income adults that would not otherwise be eligible for Medicaid under traditional law. They call this the Oregon Health Plan Standard. The problem is, states are required to balance their budgets annually, and there is more demand for this Medicaid program than there is money in the state budget to meet that demand. So, the state created a waiting list, and in 2008, the state had enough money to expand the Medicaid program slightly. To be fair, they held a lottery among the nearly 90,000 waitlisted individuals, and some 30,000 of them won the right to enroll in Medicaid. The reason that’s important is that the lottery introduces a random selection process that is extremely valuable when conducting research. I’ll spare you the additional details, because if you’re the kind of person who needs to know them, you’ll go read the NEJM article for yourself. Two years after the lottery, the study authors interviewed both the group that won the lottery and a “control” group that didn’t win the lottery. According to the authors, they asked about “health care, health status, and insurance coverage; an inventory of medications; and performance on anthropometric and blood pressure measurements.” They assessed both depression and self-reported health-related quality of life. The goal, in short, was to see what difference obtaining Medicaid coverage makes compared to being uninsured. The story making headlines is that people didn’t get healthier by gaining Medicaid coverage. This is because there were no statistically significant improvements in blood pressure, cholesterol levels, or controlled diabetes. Indeed, that is one thing the study found, but that’s not all. They also found that people who gained Medicaid coverage were more likely to have their diabetes diagnosed, which is the first step in getting it treated. Additionally, they found that those with Medicaid coverage were less depressed, reported a better quality of life, used more health care, and were far less likely to encounter financial hardship because of health care. Since a central component of the Affordable Care Act is the expansion of Medicaid to a population similar to that studied in this Oregon expansion, these findings are being viewed as evidence that expanding Medicaid will just mean more money spent on increased use of health care without anything to show for it. The flaw in that thinking comes from the fact that insurance coverage is a necessary, but not sufficient, cause of improvements in health outcomes. In other words, just giving people Medicaid coverage isn’t going to fix everything. We still need to make sure that they have access to a doctor, have the ability to make and keep their appointments, understand and comply with their doctor’s orders, and help them navigate the complexities of the health care system. We also need to make sure that the treatments they are provided are effective. This is where other components of health reform are poised to play a major role. Accountable care organizations and patient-centered medical homes are designed to focus on integrated, high-quality care that puts the patient first and shifts health care providers’ focus from volume to value. The Patient-Centered Outcomes Research Institute (PCORI), headed by Dr. Joe Selby, is funding comparative effectiveness research that seeks to identify what works and what doesn’t. But this study by Baicker and colleagues provides extremely strong evidence that health insurance insulates people from the financial risk of illness, and that seems to give them peace of mind that makes them report a better quality of life–even if their blood pressure hasn’t yet been lowered. So, to conclude that Medicaid doesn’t do what it is supposed to isn’t true. It does precisely what it is supposed to. We just have to make sure that all of the other components of a high-performance health care system are in place and doing what they are supposed to. When that happens, the health care outcomes we seek will follow. Brad Wright is an assistant professor of health management and policy who blogs at Wright on Health.